If new construction is more your style, you will find both new construction subdivisions as well as in-fill homes newly built in established neighborhoods. Prices range widely depending on the location and size of home you prefer. 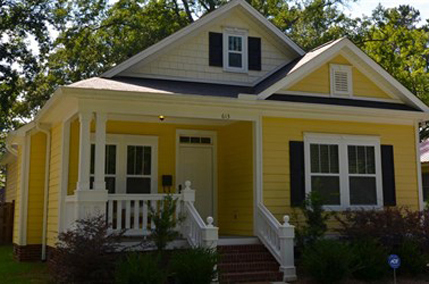 Popular downtown neighborhoods that offer new or newer construction homes include the starter homes in Laurel Hill, Canal Place, and the coming soon new homes in the highly anticipated Bull Street development of Columbia Commons, complete with a minor league baseball stadium, a theatre, and shops. Need a larger home? Check out Kings Grant, Gregg Park, and the Preserve as well as the large multi-tiered neighborhood in southeast Columbia known as the Hamptons.